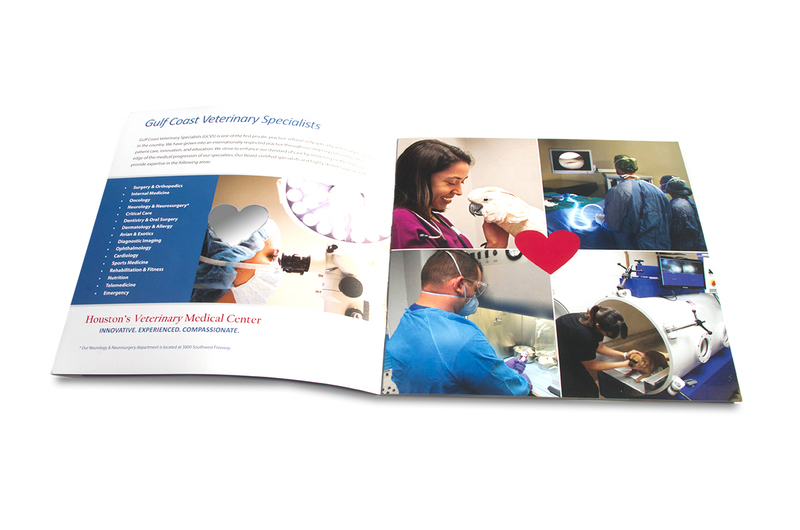 Formerly, the Gulf Coast Animal Emergency Hospital was known and beloved by pet owners for providing expedient, compassionate care when there was no time to spare. Understanding the stress and difficulty of pet emergencies, especially after-hours or on weekends when many family veterinarians were not available, the Animal Emergency Center built their reputation through efficient treatment, advanced diagnostics, and caring, communicative doctors and staff. 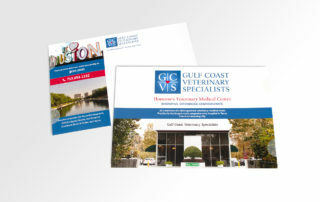 When Gulf Coast Veterinary Surgery acquired the Animal Emergency Center, the 40-year-old practice needed to update its brand to communicate the name and ownership change while emphasizing that there would be no changes to the level of care, professionalism, and dependability they offered. 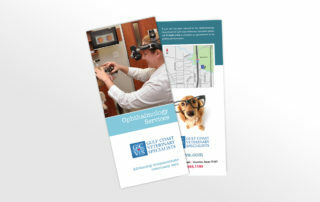 ODDS helped GCAEH seamlessly transition their brand and inform their clients of their new name and affiliation so that pet-owners still knew where to go if they needed after-hours emergency care. 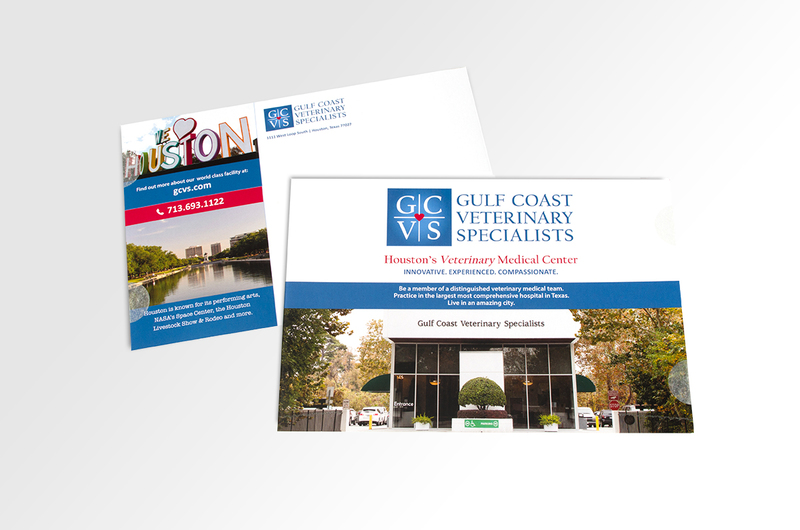 Developed and completely updated the existing website to communicate the priorities, experiences, and expertise of this well-established practice while being consistent with the look and aesthetic of Gulf Coast Veterinary Surgery. 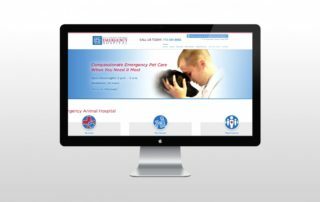 Incorporated website feature that send a text with GCAEH’s location to the user’s phone to help alleviate the stress of pet emergencies and help GCAEH become the go-to source for after-hours emergency care. 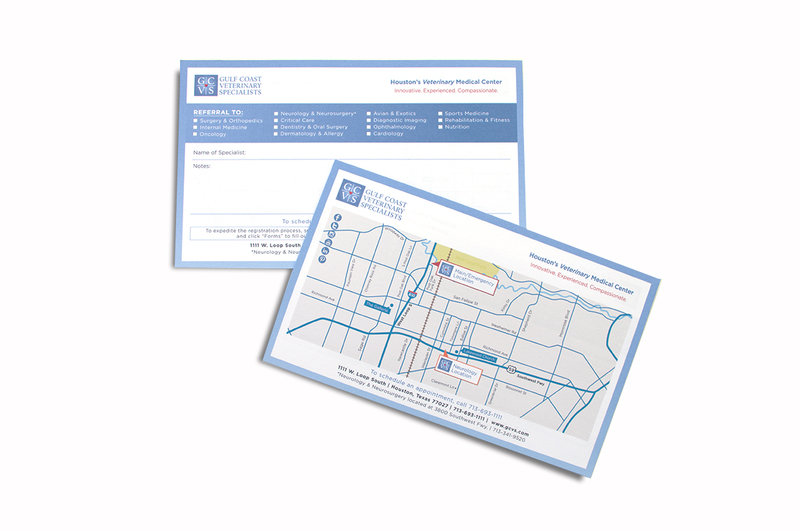 Designed a magnet and direct mail campaign to advertise new ownership and re-engage clients to remind them of the services offered by the emergency clinic. 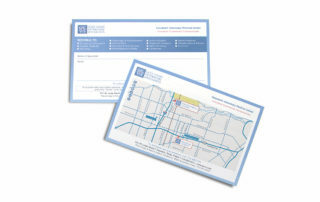 Updated all GCAEH’s collateral with new logo and design scheme, including business cards, letterhead, and envelopes. 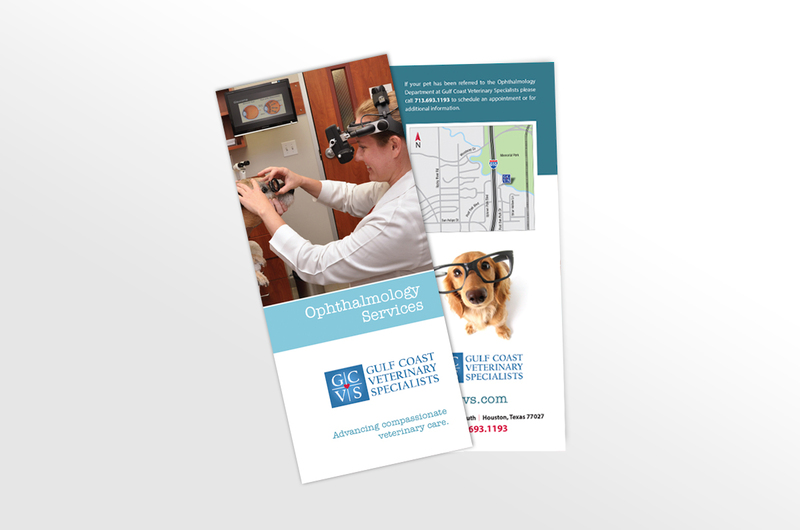 Enhanced user experience and minimized pet owner stress. Established GCAEH as a go-to source for after-hours emergency animal care. 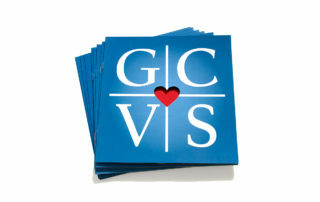 Strengthened brand awareness so that GCAEH could help more and more of our furry friends.